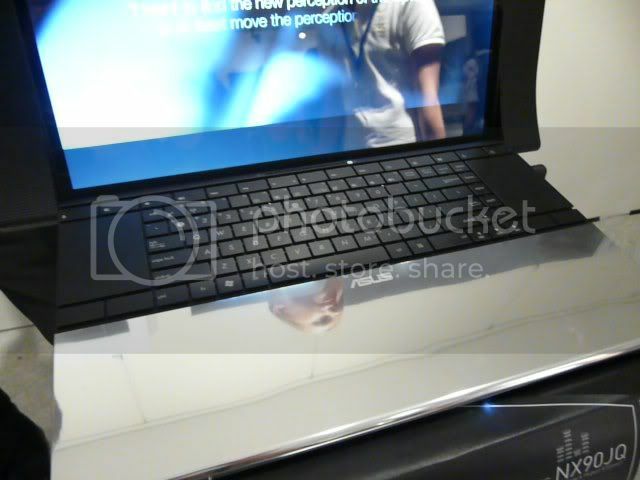 [NEW GADGET] [HANDS-ON] ASUS launched their latest notebook yesterday, ASUS NX90. And be warned, this is no ordinary notebook. NX90 is not the notebook that you should bring along to school or work. 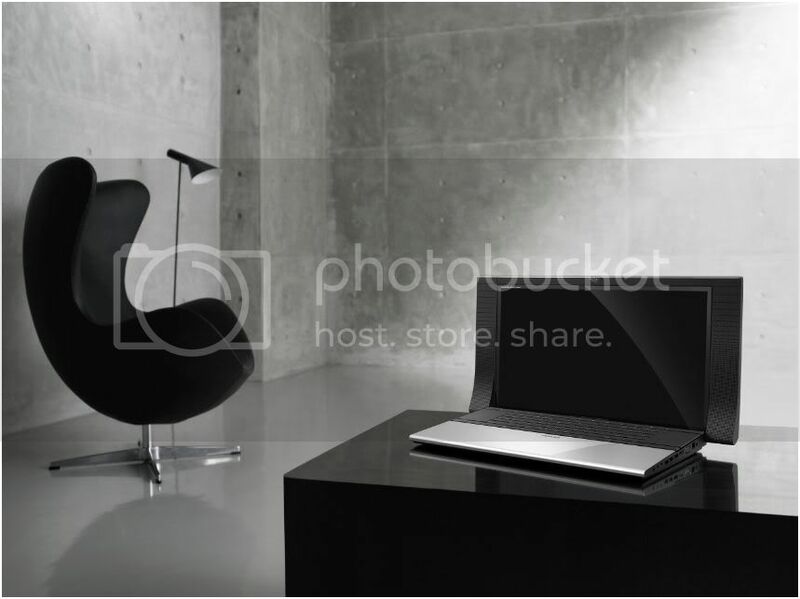 Instead, ASUS NX90 is designed to take the centre stage of your living room! Designed by David Lewis, Chief Designer of David Lewis Designers whose main client is Bang & Olufsen, ASUS NX90 is an exquisite concept-style notebook. We were at the launch event and given hands-on on the ASUS NX90! Thanks Carlyn for the invite! NX 90 is a stunner. The first impression is this fella will be expensive and comes with near zero portability but these are exactly the reasons that make it a different product in the laptop market. First off, an 18.4” LED screen is enough to make you wonder if it is correctly categorized as a laptop. The screen quality is good, bright and sharp as you will expect from ASUS products. On the two sides on the screen are the speakers, which again is not normal for a laptop to have such over-sized speakers. When the laptop is closed up, the speakers actually stay outside the main body of the laptop. The build quality is good overall. Moving on to the bottom is the large keyboards, with dedicated audio buttons to adjust the volume and manage the music. Strangely, the manufacturer kept the usually, audio shortcuts on the functions keys (for example, fn + F9 is pause). This is strange since there are dedicated buttons already. Anyhow, the keyboards buttons are pretty big and my test typing on it tells me this is a good keyboard that I would like. The real show stealer on the laptop could well be the TWO touchpad situated on both sides of the keyboard. As a result of the design, the user have to place one hand on the each touchpad; if you are a right hander like me, your left hand is likely to use to move the cursor and the right to do the clicking. At this point, you might find your posture like someone from the Stars Wars controlling a spaceship! But beyond that, I am not sure what the real experience will be like when you typing away and need to navigate the cursor from time to time. You might end up opening up your arms to the touchpad and closing them up to keyboard. Very different – and I will say this very often in this preview. Below the keyboard is a large part of silver-coated body of the laptop. I will describe it as finger-print magnet and a make shift mirror. 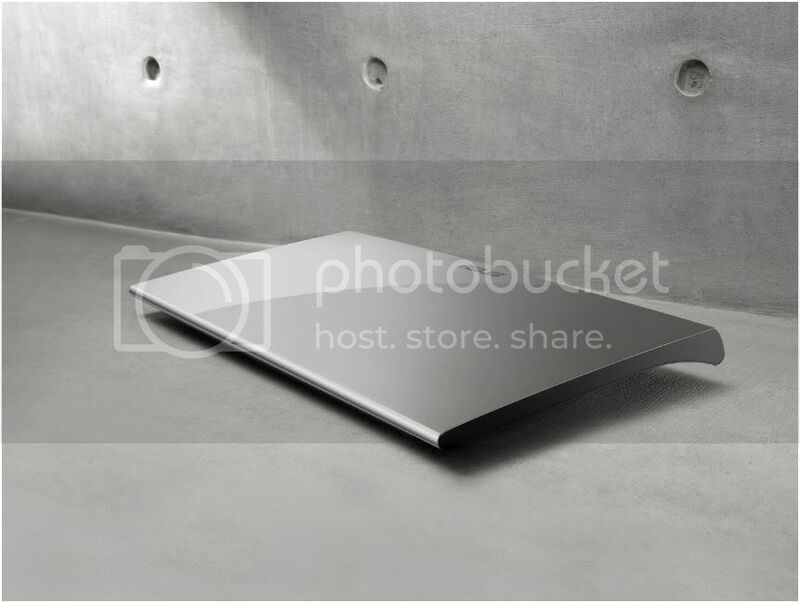 The exterior of the laptop is covered with matte surface instead. Normally, the audio quality will not be something that consumers look out for when buying a laptop. Yet, this is where ASUS NX90’s strength lies. NX90 is developed with the SonicMaster sound standard which comprises of harmonized hardware and software tuning, optimized to render high quality audio playback. This technology development is completed done with the famous Bang & Olufsen ICEpower and indeed it delivers such an astoundingly good audio experience as we experienced during the launch event; but terms and conditions apply. Well, NX90 is not going to give you crazily heavy bass to blast techno music like those in a club. What it does is to deliver supremely high clarity audio experience with next to zero static together with full surround sound. Considering that this is a laptop that we are talking about, NX90 delivers high treble and reasonably rich bass on some the sample music we heard. At this point you should already know that NX90 should not be compared to the sub S$50 subwoofer from the likes of SonicGear. Subwoofer gives extra bass to the connected speakers and therefore because of the categorical limitation as a laptop, NX90 is built with high quality speakers without a subwoofer. As a result, it seems that NX90 is more suitable for genres such as Jazz and Classical. More evidence to that is the showroom ASUS has setup for us; a small room that has reasonably good sound proof to the noise generated from the entire hall. The strength of speakers immediately becomes obvious in a quiet environment and we were given short snippets of Jazz and Classical music which certainly impresses. The pre-installed SonicMaster audio software seemed to come with more configurations for user to tune the audio effects to his/her liking but we did not try it out. Besides SonicMaster, NX90 will shipped with Rotation Desktop Software. We tried the software a bit and we are happy to report that it is going to be useful for user. The main gist is that the software will be integrated into the desktop (something like the wallpaper) and it allows audio management such as playlist and equalizer. And indeed the user will look like a DJ with both hands far apart on the laptop and adjusting settings for the audio. 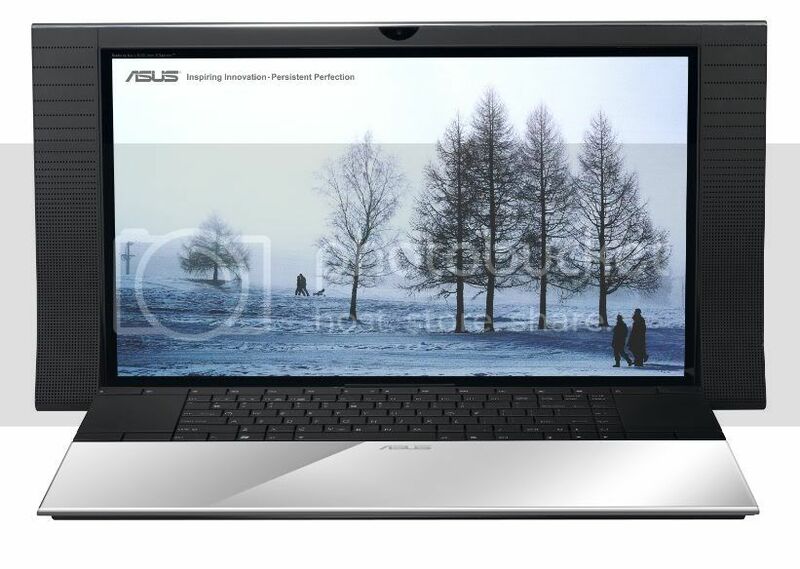 Let us by crystal clear, ASUS NX90 is a niche laptop. NX90 will almost definitely deliver a much enjoyable and loud audio experience compared to any other competitors out there. But the fact remains, ASUS NX90 is not build for everyone, if you are not someone that could appreciate high definition audio, then you probably just stand and admire NX90’s beauty from far away. In addition to its audio power, NX90’s up-to-date graphics card, blu-ray drive, HDMI output and TV Tuner are all other features that makes NX90 a fit to your home entertainment system. If you are on the other side of the coin, we would suggested that NX90 is best suited in a living room, a quiet environment, an environment that allows you to enjoy the high clarity audio and great design of the laptop.